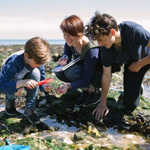 When you’re looking for something to do, it can be challenging to find an activity which is sufficiently entertaining but is also something you would not usually do while you are on holiday. To meet these criteria, a lot of people choose to play golf. It is a sport which is relaxing yet highly enjoyable, and it is easy to see why so many people are so keen to get out on the green. 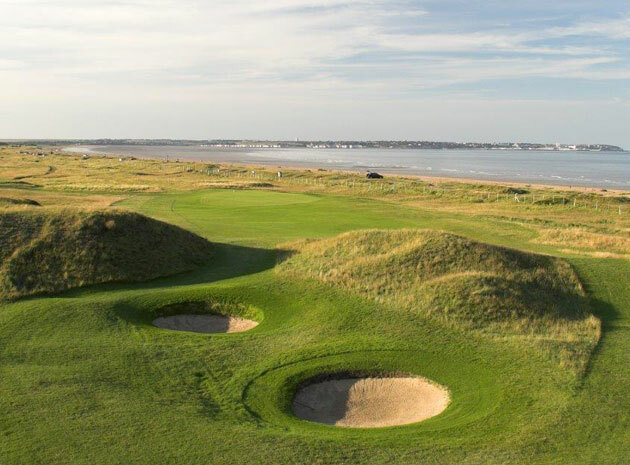 To try and make sure that you’ll have a wide selection of choice in this field, we’re going to be looking at a few of the best golf courses in the local area. Like me you’re probably wondering where the name comes from? Cinque Port is a port that historically, provided a fleet of ships to support and serve Royalty during the Tudor era with it last being called upon in 1588. The golf course itself is a lot younger opening in 1892 and was originally only a nine hole course with the clubhouse opening in November of the same year. Four years later 1896 it was decided to add another nine holes. The work was completed in 1898 creating the superb 18 hole championship course we see today. The course has held the British Open on two occasions – 1909 and 1920. 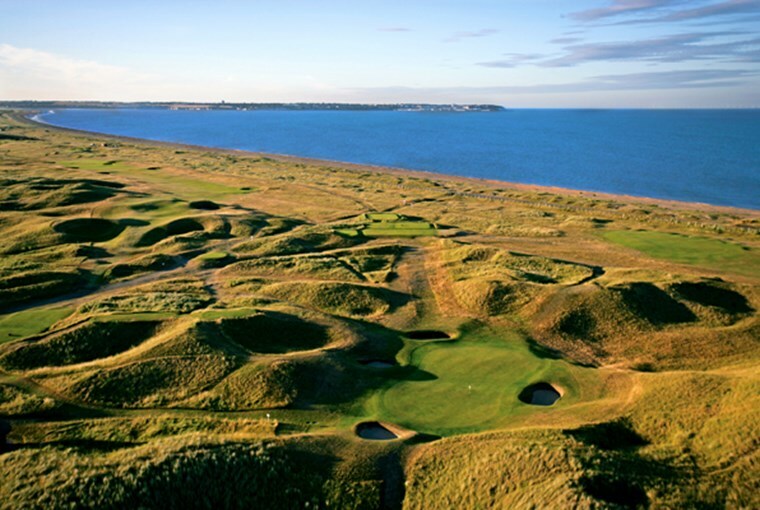 The links course is a test for all golfers of all abilities. If you have a weakness, this is the course that will find it. Rolling fairways, superb fast greens and open to all elements, this course is one of the best. If you require equipment, balls or a golf lesson there is a golf shop and a professional coach to assist you. The clubhouse is very welcoming with a restaurant and two bars with one being formal the other a more casual affair While there, take a look at the putter and driver presented to the club by Seve Ballesteros himself. North Foreland Golf Club which has been around since the early 1900’s, this is an establishment which has enjoyed popularity since it’s conception. Visitors to the organisation can expect to see an 18 hole course to experience, as well as a dining area and bar for people to enjoy. You might want to bring your smarter clothes for here, however, as this is a sophisticated place with a strict dress code. Their website provides a suitable explanation of what is accepted within the grounds, but it is worth visiting nonetheless. Founded in 1887, The Royal St Georges Golf club was built to rival the home of golf – St Andrews in Scotland. Over the years, the course has maintained its status as one of the best courses in the world. The club boasts fourteen British Open Championships with the last taking place in 2011 when Darren Clarke took home the trophy. It has also hosted five P.G.A. Championships, Walkers Cup competitions on two occasions plus a multitude of other tournaments. It is fair to say that is does a great job at rivalling St Andrews in the South of England. The course has not changed in 130 years and it provides a real challenge if the elements are against you. The course has a first class professional and a fully stocked professional shop with a wide range of golfing equipment available. Once you have completed your round you can retire to the club house for refreshments and a bite to eat. The Princes Golf Club was first opened in 1906 and held its first championship “The Ladies Open in 1912”. Unfortunately the course saw difficult times in both the First World War and even more so in the Second World War where it was commandeered by the military and used for target practice. It was de-requisitioned in 1949 and saved by an Australian Sir Aynsley Bridgeland. In 1950 the course was brought back to its former glory following a redesign. It was 1954 when the club returned to the big stage holding the Dunlop Masters won by Bobby Locke. The present day Princes Golf Club consists of 27 holes over three courses. The three courses are The Shore, The Dunes and The Himalayas and all are fantastic championship courses. The course also boasts a 2AA Rosette restaurant, lounge bar, sun terrace a fully equipped gymnasium, snooker room and a conference room. There are other eateries on site to choose from such as the Brasserie on the Bay, Princes Suite and the Spike Bar. 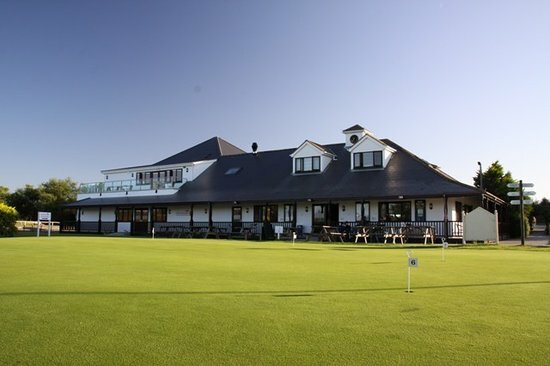 The Princes Golf Club is a fantastic venue for golfers and their families. Nestled on the Kent coast and built in the mid 90’s this public ‘pay as you play’ golf course is a venue for golfers of all abilities. The club is fantastic if you’re learning the art of Golf. 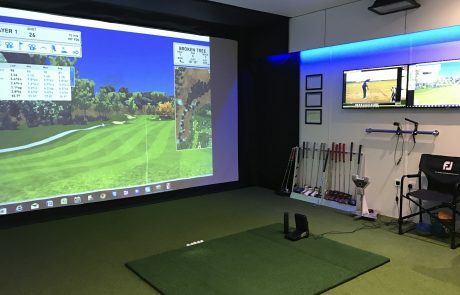 They offer lessons with the professional at the driving range or if the weather is against you, a lesson inside on the Golf simulator is equally as beneficial. If your short game is struggling or if your putting is making life a misery then there are practice greens to sharpen both skills to get you back on the straight and narrow. The club has three nine hole courses and they are set out for golfers of varying abilities. The par 3 is for the beginner or the low handicap player who wants to sharpen his short game. Middle ground is the 9 hole Executive Course with its par 3’s plus two par 4’s for your average golfer. Along with this, there is The Heights course which is a 9 hole championship standard course which is a test for any competent golfer .There is a course for every golfer making this a course that is open to every golfer. If the golf has not gone well do not despair because the Fairways Kitchen serving warm meals and a drink. 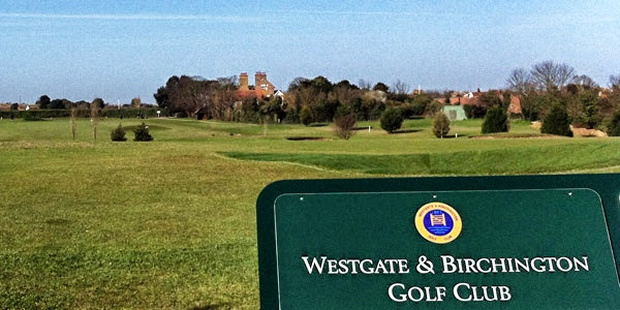 The Golf club is perched high up on the clifftop between the seaside towns of Westgate and Birchington. The 18 hole course is not a long hitters paradise at only 4877 yards long making it fairly flat course that is ideal for the casual golfer. Don’t make the mistake of taking the course for granted regardless of your golfing qualifications because the course will bite you if you do not take care with your shots and show it some respect. The views whilst on the course are spectacular with the better holes being the 2nd and the 4th both of which hit out towards the sea .The tees and greens are kept in top condition. If you have the chance to play this course then you will understand that the weather can make or break you. If the wind is at its worse it will take a toll on your scorecard. On the other hand if conditions are benign you can take advantage and shoot low scores. The club has a resident professional and a well-stocked pro-shop. The clubhouse has a dining area, seating up to sixty people as well as a lounge and a bar. This is a great place for the golfer’s “If Only” stories. St Augustine’s Golf Club in Kent, offers an 18 hole course, which provides plenty of challenges for the casual and experienced player alike. The club was established in 1908 and has a rich history and lots of experience with catering to all kinds of players. There’s also a clubhouse and bar so that you can unwind after an enjoyable afternoon in the field. Their website offers plenty more information, as well as a good indication of the high levels of service you can expect. The Manston golf course is a place which is well known for being friendly and approachable, with a team of helpful staff on site. The course offers a suitably challenging nine-hole system, and also provides a driving range for people to kick back and enjoy firing shots into the distance. It has a trendy cafe which opened in 2016 and is a definite must for anyone who wants to enjoy golf and also have a beautiful day out. 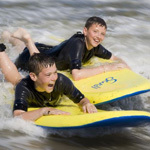 You can find out more information by going on their site, and we’re sure that you’ll enjoy your time there. The Kent Golf Academy is based near Sandwich in Kent. 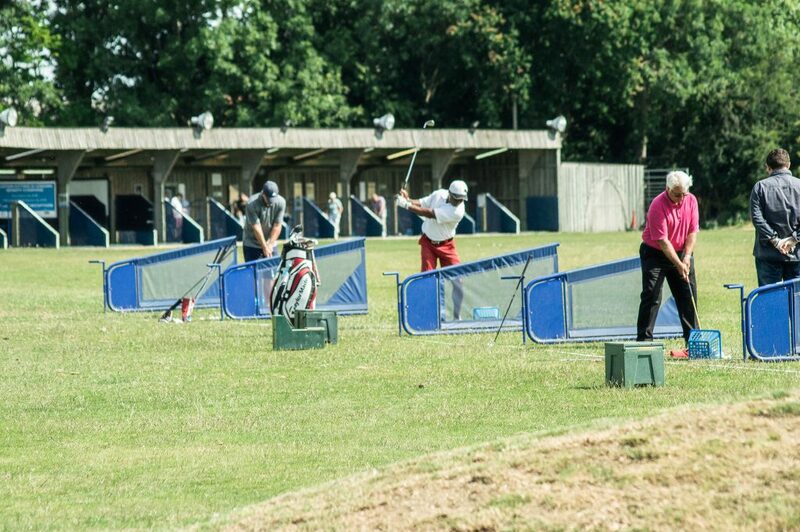 This facility is different to the usual golf coaching approach as it has an indoor facility with lessons being taken indoors at all time, therefore eliminating the chance of your golf lesson being cancelled due to bad weather. The exclusive facility aims to mix the importance of your golf tuition with a bit of fun and enjoyment mixed in. This is carried out under the watchful eye of The Director of Instruction Mr Howard Bonaccorsi and his team of professionals. Whether you are a starter in golf or a seasoned tour professional this state of the art facility will get your game going in the right direction. The professional coaches provide students with honest feedback and an understanding prior to an assessment of how to correct your faults. To assist them in analysing your game they use advanced technology systems such as Launch Monitor and V1Pro Swing Analysis giving them instant data feedback. To correct your faults you may need the club fitting service. The Kent Golf Academy can also provide this service in one of their custom built fitting studios. They can fit 5 makes of club Titleist, Callaway, Mizuno Scotty Cameron and Odyssey.